The reason for my post today is to show people what marriage really means in a lot of countries around Africa. A lot of people think marriage means the same thing no matter where you go. Well this is “partly” true but marriage in some countries is a little different than in the UK where i come from. 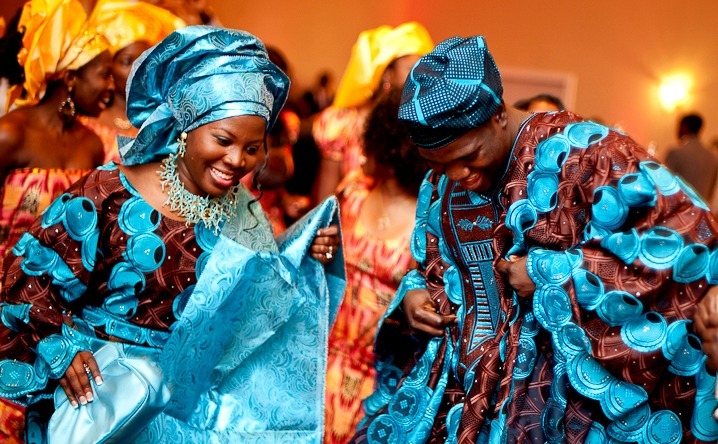 The reason i have used Africa as an example is because i have experienced and seen for myself that marriage is done very similar in a lot of countries around Africa compared to UK. Marriage should of course mean the same thing everywhere, two people who are in love and want to spend there life’s together but the way the actual wedding is done in some countries around Africa is some how different. First of all, for example, if a Nigerian man wants to marry a woman traditionally he wouldn’t just simply go and ask her without asking the parents first, they will go to her parents and also his parents before even confirming the marriage with each other. Unlike in the UK where MOST men just ask the girl without even considering her parents or his. I’m not saying that British men are bad or something for doing this but i’m just giving an example of how different it is in the UK. Yes, there is SOME British guys who will still go to the parents first, but it is very rare. In Nigeria, the woman can’t always go and choose any man she likes. Sometimes the parents suggest a man for her to marry. This also happens in Ghana too sometimes. Although she doesn’t need to agree. Women still have their right to say no. I know a lot of countries around Africa have parents who are very extreme about marriage. Yes you should hope for the best for your sons and follow good tradition but it isn’t good to be too judgmental and give the lady a chance because you may be making her feel useless if you start acting like she is not good enough for your son or if you start interrogating her. Simply get to know her and give her a chance. I’m not saying give any girl he brings home a chance, no, of course we know a foolish girl when we see one but so far she has great qualities and the right manor then give her a chance to be part of your family. It takes a lot to accept change so if you are newly meeting a man from Africa and hoping to one day marry him, please know what you are getting in to 🙂 Africa has a lot of great countries with great people and they will treat you wonderful and you will have a wonderful experience marrying into a family from another country but just be ready and know the differences in culture.